Well today is a great day for a pom-pom sweater showdown. I don't think you can get away from seeing pom-pom sweaters all over fashion websites and Instagram lately. So today I thought let's have a pom-pom sweater face off to see which ones I love, and would buy again. First up is this pom pom cardigan from Chicwish. 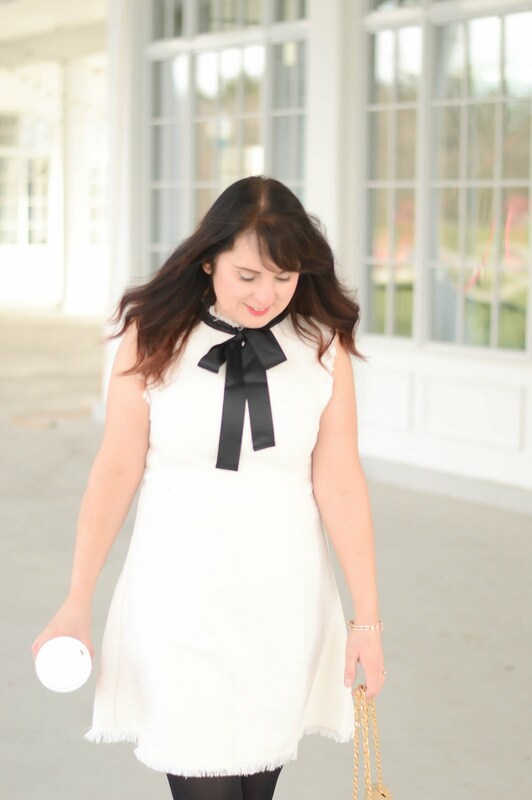 I have always been a HUGE fan of the Chicwish website, I think the clothes are great quality and as long as you check your measurements against the size guide for each item, I have had nothing but good shopping experiences. So this pom pom cardigan is very thick, like so thick I can't wear a coat over top of it as there is no way I could get the coat done up. The quality is fantastic, and it's the perfect cardigan to wear when I want extra warmth. This cardigan does have a higher price tag at around $80 U.S. but it's a piece that will be in your closet for years. I can wear this beige colour with everything, and it also comes in around five other solid colours. 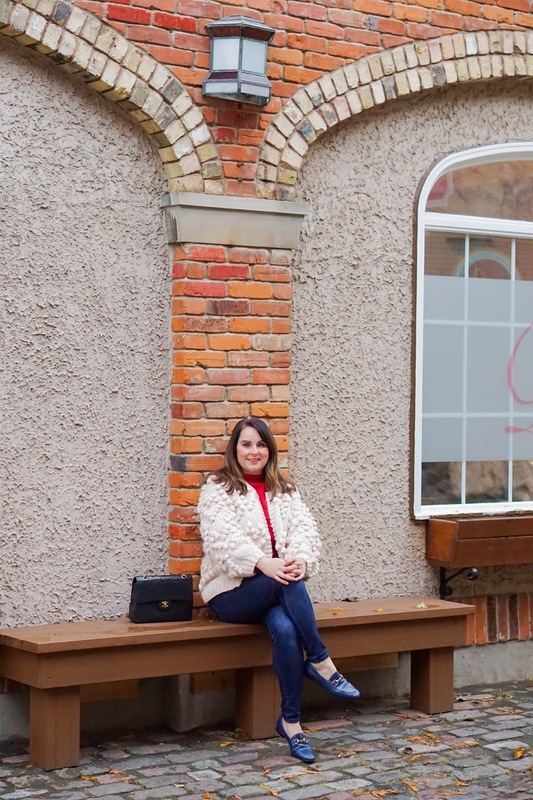 I would highly recommend this cardigan and love it for it's coziness. 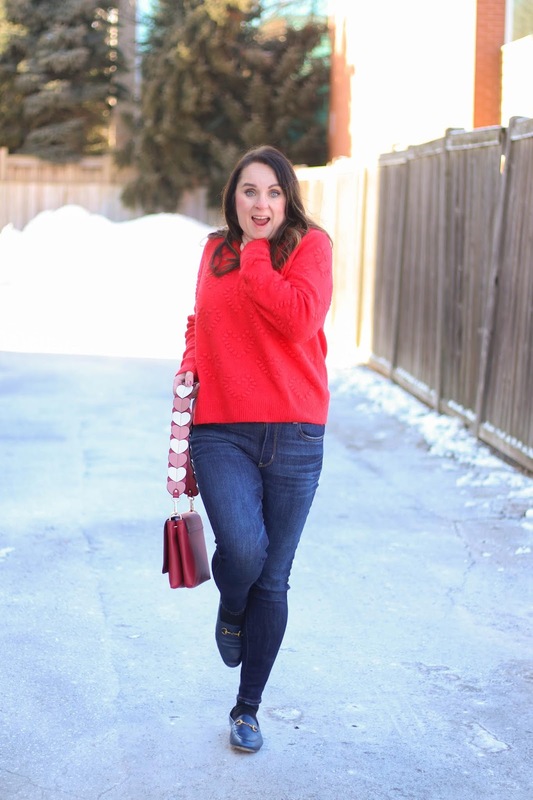 Next up in the pom-pom sweater showdown is this heart printed sweater from H&M. I found this sweater for around $15 on sale and I kind of love how muted the pom poms are. I do find with the first sweater the pom poms can easily get caught on random items like chairs, or doors. With this H&M sweater that never happens, the pom poms are very close to being flush with the sweater. This sweater is also a thinner material which I tend to prefer more, shockingly I find the first sweater if anything a bit too warm sometimes. I would definitely recommend this H&M sweater, for the lower price I think it's totally worth it. 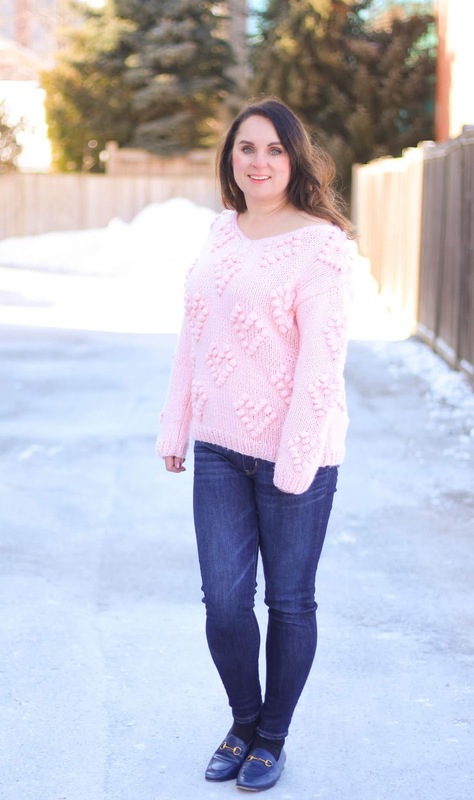 Last up is another pom pom sweater from Chicwish. This v-neck style is similar quality to the cardigan, with raised pom-poms, but I find this one isn't as thick, which I like. The pink shade is perfection and it's so cute to throw on with a pair of jeans. The price tag is a bit steeper at $75 but I think it's worth it, and it also comes in a few other solid colours. So which one do I reach for the most? The H&M one, because it's a bit thinner, and the red colour if perfect for this time of year. I have always liked a thinner sweater, so I find it's the perfect weight for me. Do I think all the sweaters are worth it? 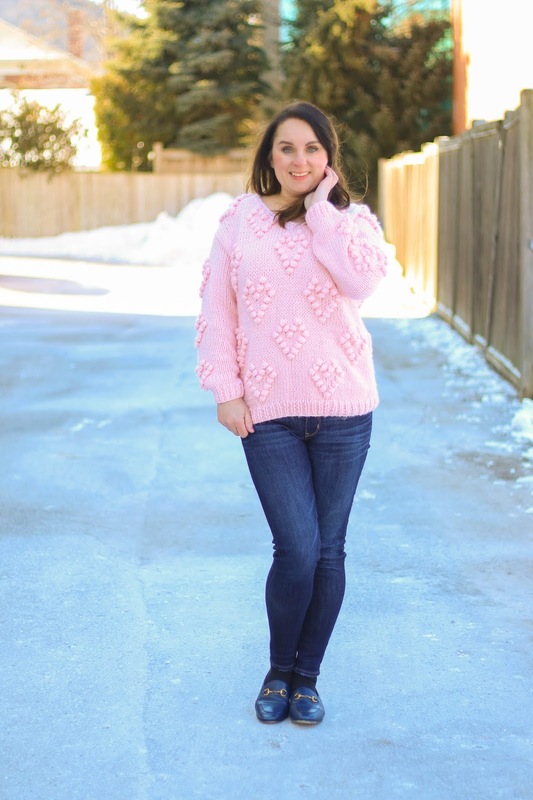 OF course, I think if I could only buy one it would be the pom-pom cardigan, I find cardigans are so versatile an instantly dress up an outfit. So shop all the pom pom sweaters below and let me know if you have one and if you want one. Love this post! 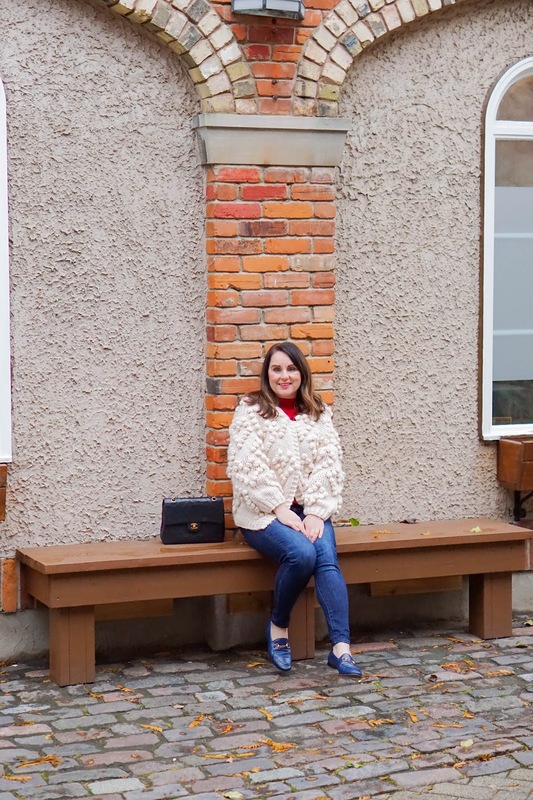 I also have the beige Chicwish cardigan and I am obsessed! It practically doubles as a coat it is so warm and cozy!